The How I Feel worksheet is a CBT-inspired activity that will encourage children to learn more about their thoughts and feelings, and how to manage them. First, your client will describe their feelings, and consider the consequences of several actions they could take to deal with them. Finally, with your help, they will identify a new and healthy way to manage their emotions. This worksheet uses examples and prompts to help children improve their emotional literacy. They will be prompted with common emotion words, and a list of helpful coping skills. We recommend using this worksheet to help children who are dealing with anger, depression, or other emotional problems and are acting out behaviorally as a result. 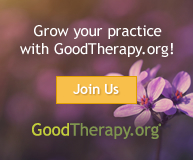 Become a Supporting Member of Therapist Aid to access customizable worksheets, fillable worksheets, and plenty of other perks! Unlimited access to interactive therapy tools. Support the creation of new tools for the entire mental health community. Tip: Are you looking for a regular old printable PDF? Those are free. Click the green "Download Free Worksheet" button on any worksheet page. Already a supporter? Log in here. Disclaimer: The resources available on Therapist Aid do not replace therapy, and are intended to be used by qualified professionals. Professionals who use the tools available on this website should not practice outside of their own areas of competency. These tools are intended to supplement treatment, and are not a replacement for appropriate training.